On a brisk autumn day, I was a guide of a couple from UK. Though it was a little earlier for colored autumn leaves, we fully enjoyed the tour. This is their first trip to Kyoto. I took a typical course including the world heritage sites. Unlike usual, I took the course to Kiyomizu temple by way of passing by Yasaka Pagoda. Yasaka Pagoda is located near Sanneisaka and Nineizaka. However, we usually take the course of walking up to Kiyomizu temple along Chwanzaka with many pottery shops along. After visiting Kiyomizu temple, we walked along Sanneizaka and Nineizaka as usual. This time, we stopped to see Entokuin temple across from Kodaiji temple. Kodaiji temple was named after KODAI-IN, the official wife of TOYOTOMO HIDEYOSHI. The inside of this temple was renovated a little, and the rooms are very new. 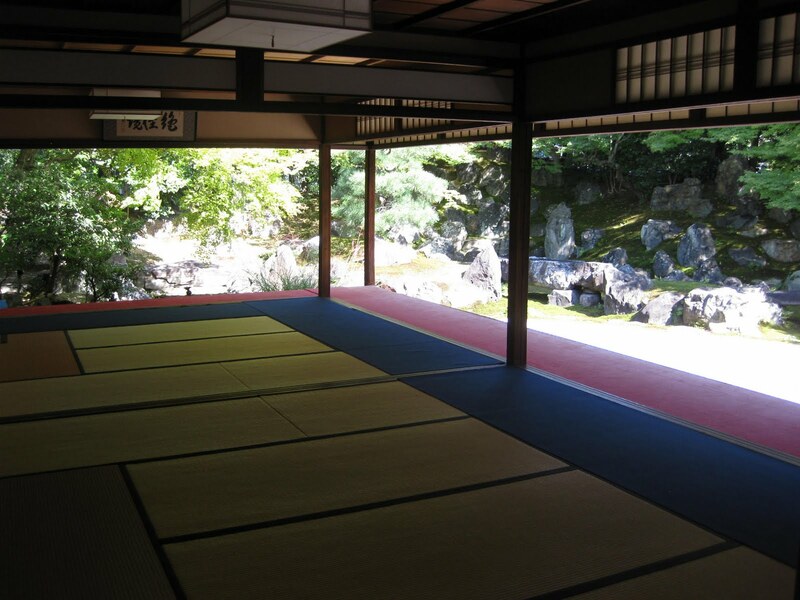 However, the number of visitors is comparatively small, and the people of the temple sometimes give us an explanation of the garden and its history. They were really kind to visitors unlike those of the famous and crowded temples. 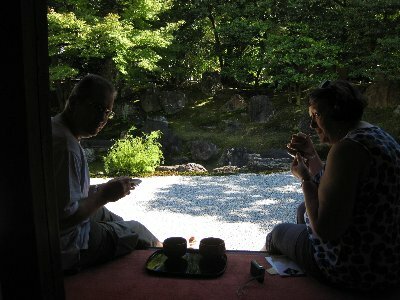 We wanted to enjoy Tea ceremoney in the typical tea room in the garden. Unfortunately, on the day, the roof of the room was being checked and repaired. It was unlucky for us but we still enjoy talking over the typical tea, seeing the beautiful garden. 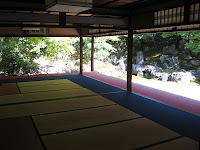 We spent a little while there, the person of the temple show their kindness to lead us to the tea room to see inside, and I had a chance to explain to them tea ceremony and what tea room is like. It was really quiet time in Autumn. 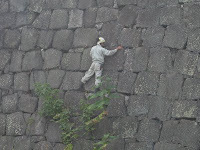 Later we visited Nijo castle and saw the Ninja like gardener climbing up the wall of the castle. But, from behind me, the husband asked me if he ( the gardener ) was a Ninja.. 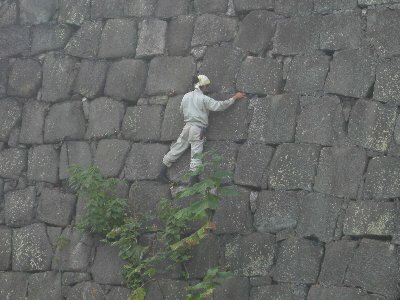 HE was climbing EASILY to pull weeds and cut a small bushy trees off. 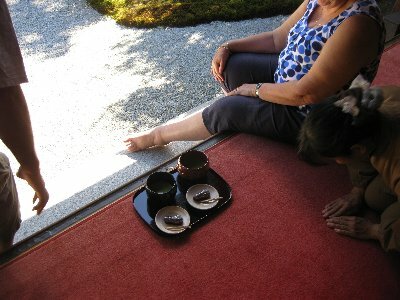 In the rock garden, I talked about Zen spirit, and they talked about Christianity and its history. Such mutual interactions and understandings are also fun in doing the guide. I love reading your posts..informative and funny xD I've been to some of the places you blogged about, but I never know in details of the history. Thanks for sharing!